Have you ever experienced being so stoked to bake or cook or replicate something you’ve seen on a video or pictures but you just can’t find any recipe for it? That’s exactly what happened to me after watching this video of Kue Kamir or Kamir Cake. 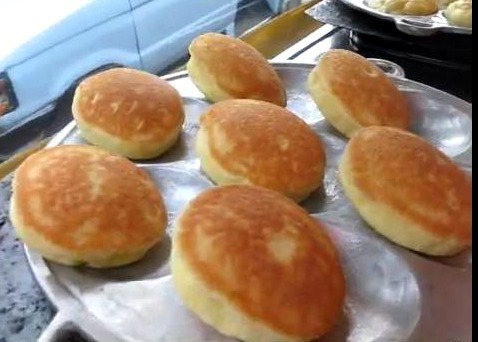 These are pancakes made and sold on the street in Jakarta and according to my little research, it is the traditional cake of Pemalang, Central Java. Spoonfuls of the thick batter are placed on the well oiled cavities of a pan which is like a bigger version of takoyaki pan. Then the oil is gently folded into the batter thus cooking it in the process as seen in the way the cake swells and fills up each cavity. At that point, the vendor let the pancakes cook a little bit more then flips each cake over. I was fascinated by these puffed and golden beauties which look like donuts but not deep fried; and yeah, they look so inviting. I was again curious... and interested.. as usual. And so I was on a mission after watching the video. 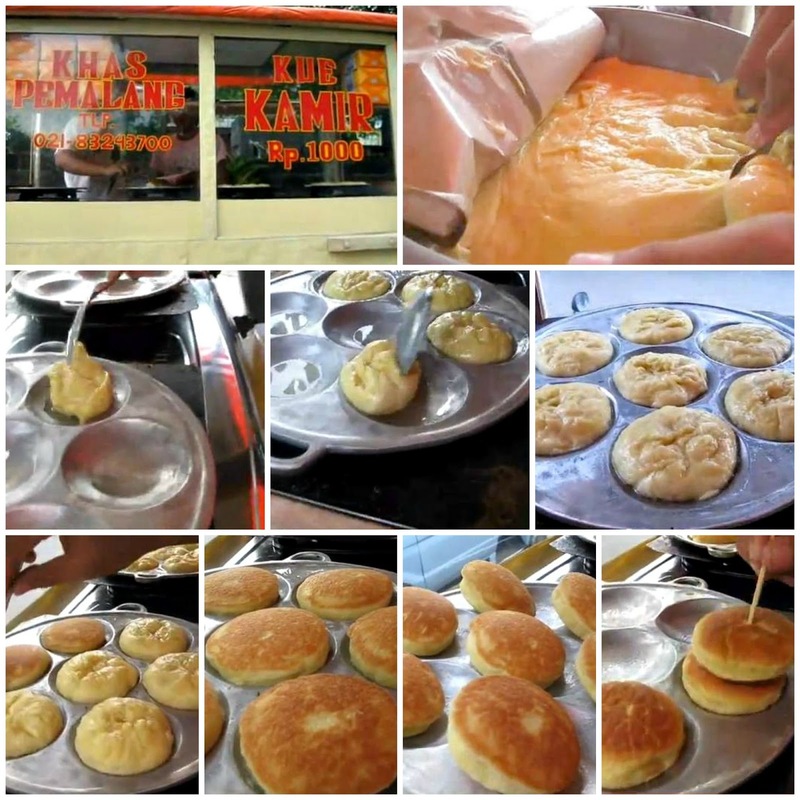 To quest for the best recipe for Kue Kamir or Kamir Cake is on. But I didn't find any. I landed in a couple of Indonesian blogs and even as I Google-translate the text to English, the results are confusing. I found articles describing the ingredients but not an actual recipe so after hours of my fruitless search, I thought it's time to throw in my apron. It doesn't mean I'm giving up though. This will be BIG on my To Find/To Do List and hopefully someone out there can read this and give me the recipe. Thank you for the suggestion but if you'll watch the video, you'll see that the process involves folding the batter in oil or vice versa in the cavities and then leaving the cakes to finish cooking over low heat. The ingredients are whole wheat flour, butter and yeast- similar to Belgian waffle although you just pour the batter, put down the lid and wait till it beeps to tell you it's ready. 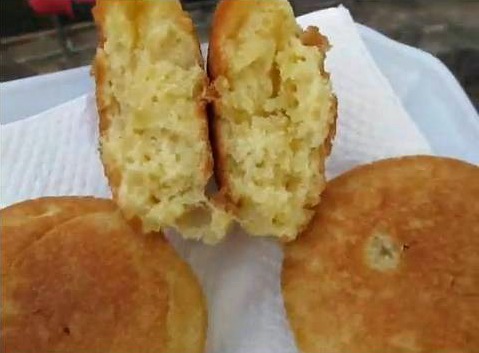 recipe for kue kamir; flour, fermented cassava, banana, sugar, egg, butter or margarine. the process: mix all the ingredients but without water - stir with hand until it all mixed well - after it mixed well, add some water little by little - wait the dough for 10 hour before you cook it. (i'm an indonesian) sorry for my bad english. Thank you so much! No need to be sorry - your English is fine and I didn't have difficulty understanding.